2013 Nissan GT-R Furthers the Lore of Godzilla; Hits 62mph in 2.84 Sec. The new Nissan GT-R expands its acceleration capabilities with a 0-62mph time of only 2.84 seconds. Earlier this month at the Sendai Hiland Raceway, aka Godzilla&apos;s lair, the new 2013 Nissan GT-R set an impressive time for its 0-62mph run of 2.84 seconds. 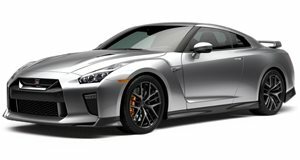 The new Nissan GT-R for the U.S. is a 2013 model and for the rest of the world, which gets the Japanese supercar before the rest of us, is badged 2012. The time is helped dramatically by its incredibly smart ATTESA E-TS all-wheel-drive system. For those who care about the 0-60mph time, it reaches it in a blistering 2.72 seconds.